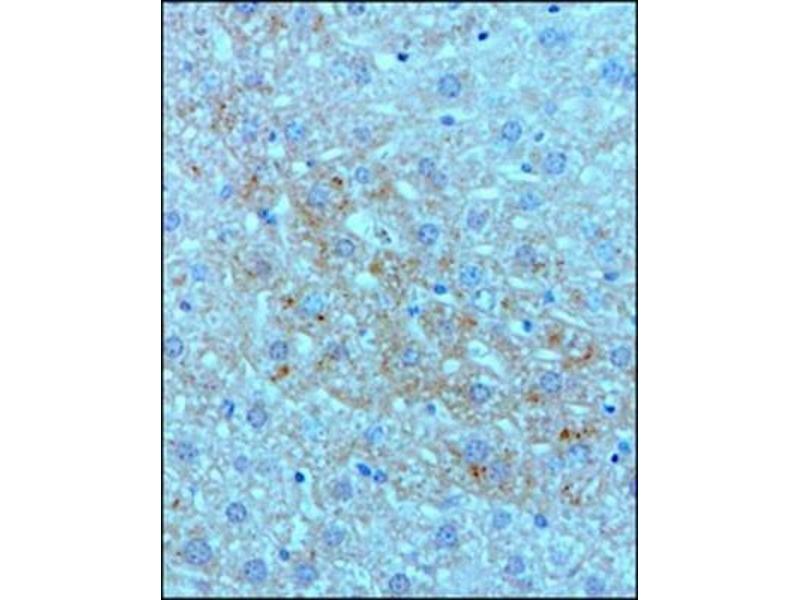 Immunohistochemistry-Paraffin: Complement C3 Antibody (11H9) [ABIN152429] - IHC-P detection of Complement C3 protein in a formalin fixed paraffin embedded tissue section of mouse lymph node using 1 : 100 dilution of Complement C3 antibody (clone 11H9) ABIN152429. This representative photomicrograph shows a membrane-cytoplasmic immunopositivity in non-germinal center cells, and few cells developed an intense staining for this target protein. 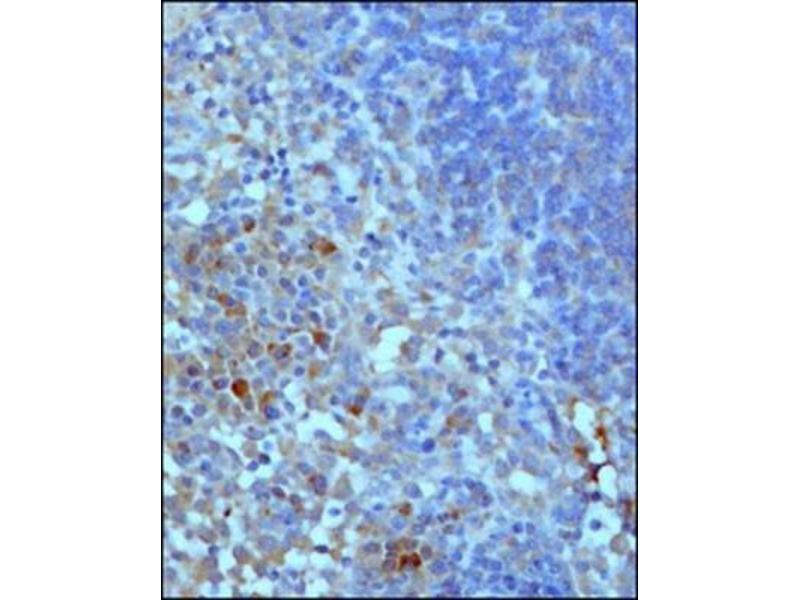 Immunohistochemistry-Paraffin: Complement C3 Antibody (11H9) [ABIN152429] - IHC-P detection of Complement C3 protein in a formalin fixed paraffin embedded tissue section of mouse liver using 1 : 100 dilution of Complement C3 antibody (clone 11H9) ABIN152429. 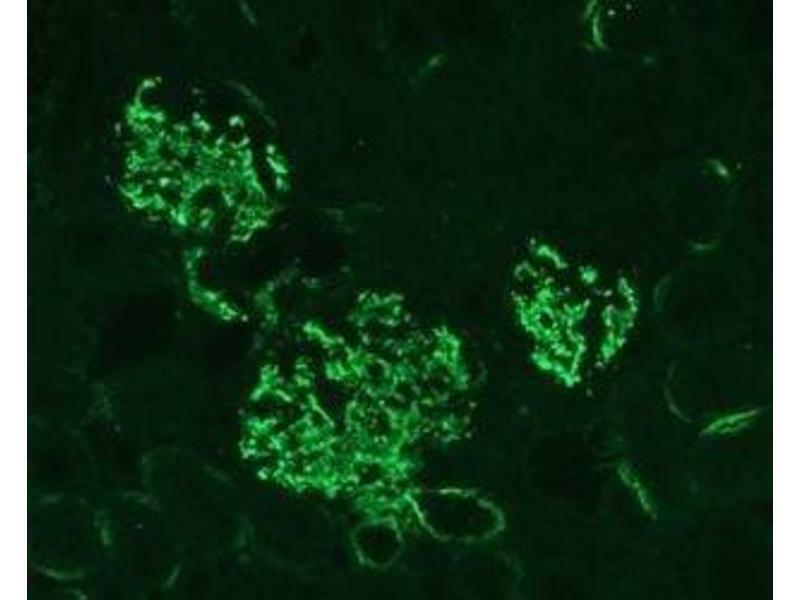 Weak but distinct membrane-cytoplasmic immunopositivity was observed in hepatocytes and few cells developed punctate membrane staining. Flow (Intracellular): Complement C3 Antibody (11H9) [ABIN152429] - An intracellular stain was performed on RAW 246.7 cells with Complement C3 (11H9-3-2) antibody ABIN152429 (blue) and a matched isotype control NBP2-31382 (orange). Cells were either treated with 3uM Monensin for 3 hours to block the secretion of Complement C3 (B) or grown in normal media (A). Cells were fixed with 4% PFA and then permeablized with 0.1% saponin. Cells were incubated in an antibody dilution of 2 ug/mL for 30 minutes at room temperature, followed by mouse F(ab)2 IgG (H+L) PE-conjugated secondary antibody (F0102B, R&D Systems). Application Notes Western Blot 1:100-1:2000, Flow Cytometry 1-2 μg/mL, Immunohistochemistry 1:10-1:500, Immunocytochemistry/Immunofluorescence 1:10-1:500, Immunoprecipitation 1:10-1:500, Immunohistochemistry-Paraffin 1:10-1:500, Immunohistochemistry-Frozen 1:10-1:500, Immunoassay 0.5 μg/well in PBS, CyTOF-readyFor IHC-F: Tissue sections were fixed in acetone. Antigen retrieval was performed using 50 % formic acid for 5 min or microwaved (700 W) in antigen unmasking solution. 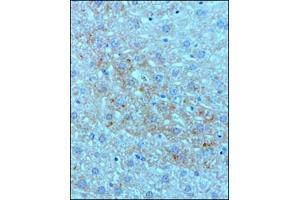 For IHC-P: free-floating brain tissue pretreated with 50 % formic acid for 5 min. or microwaved (700W) in antigen unmasking solution for 2-5 min. Blocking endogenous persoxidase by treatment with 3 % H2O2 in pBS 20 min at 25 degrees C. Blocking 2hrs, 2 % BSA in PBS. For IF: Fixation in 4 % paraformaldehyde in PBS pH 7.4. Vibratome sections of 4 um. Pretreated with 3 % hydrogen peroxide for 20 min to quench endogenous peroxidases. Microwaved in antigen unmasking solution for 2-5 minutes as antigen retrieval. Medler, Murugan, Horton, Kumar, Cotechini, Forsyth, Leyshock, Leitenberger, Kulesz-Martin, Margolin, Werb, Coussens: "Complement C5a Fosters Squamous Carcinogenesis and Limits T Cell Response to Chemotherapy." in: Cancer cell, Vol. 34, Issue 4, pp. 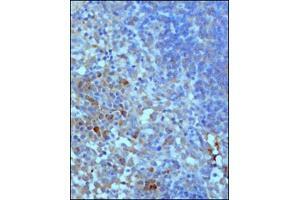 561-578.e6, 2018 Method employed by authors: Immunohistochemistry (IHC) (Sample species: Mouse (Murine)).